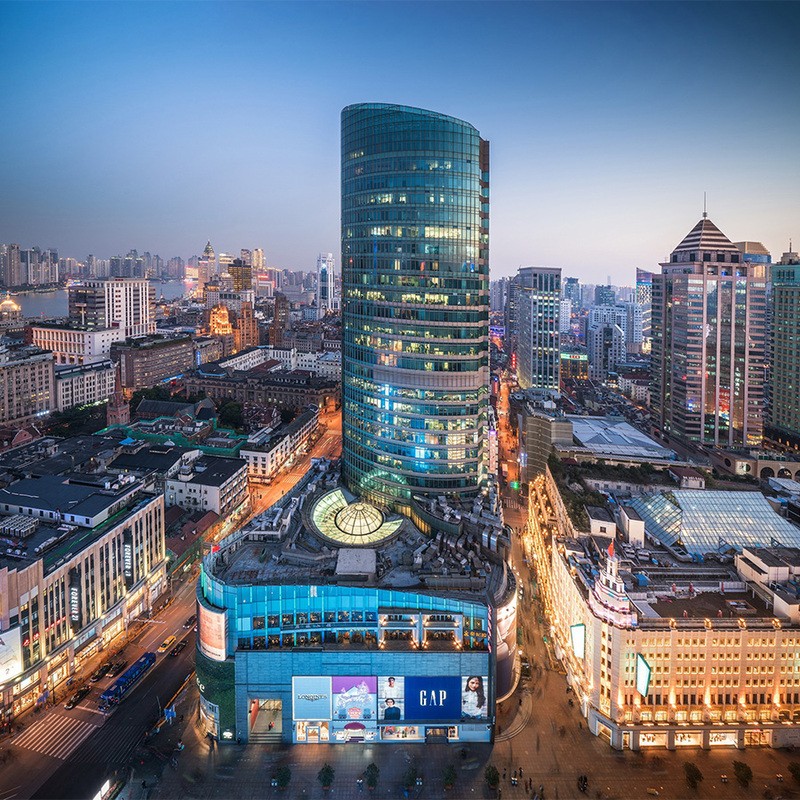 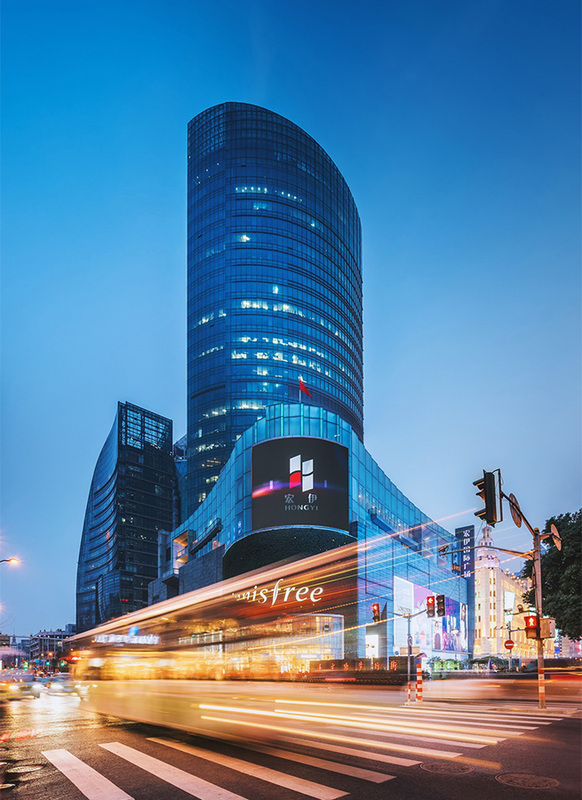 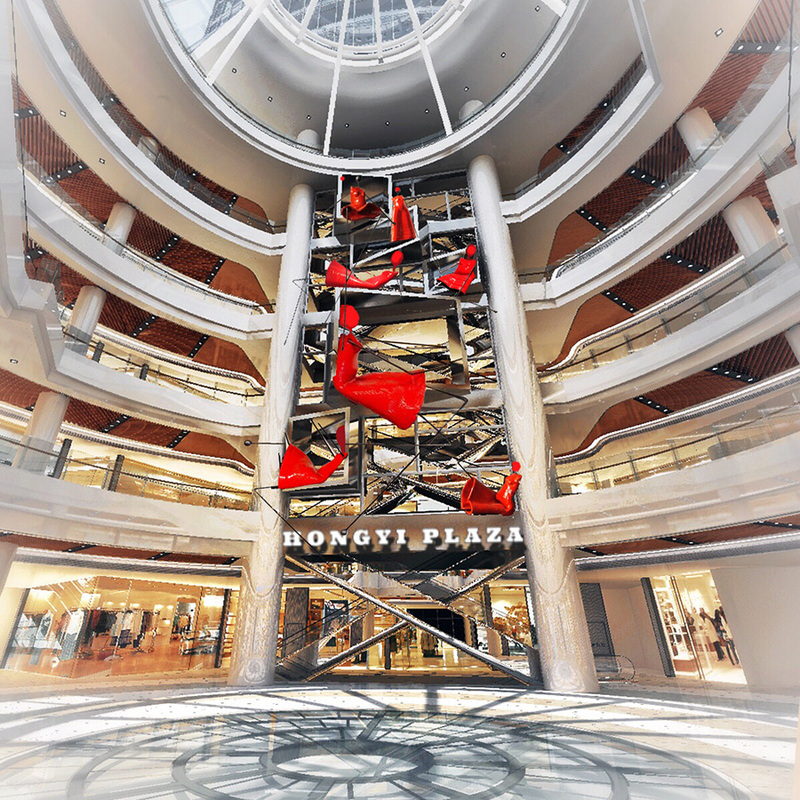 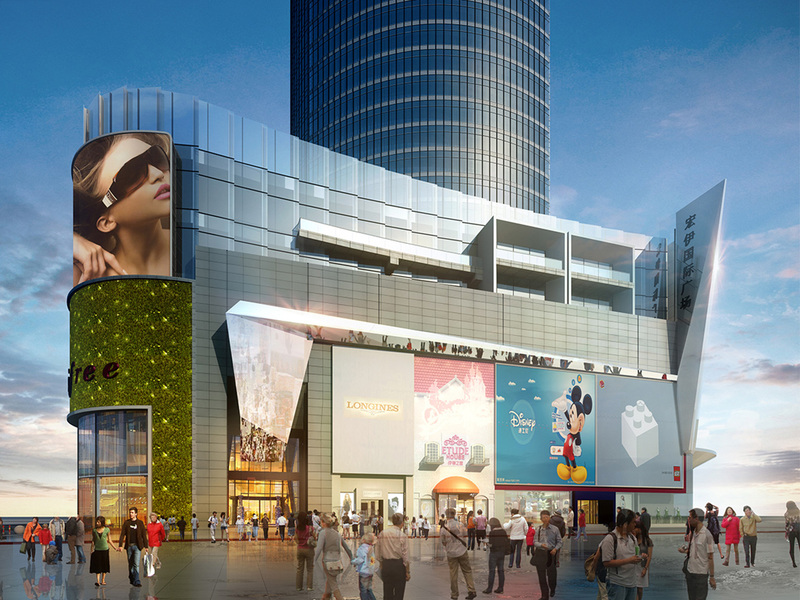 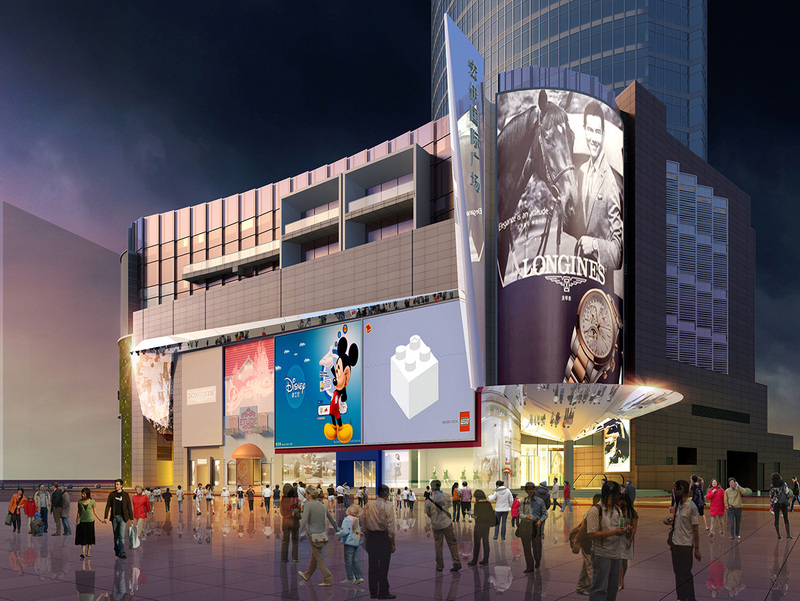 Completed in 2007 Hong Yi Plaza is strategically located at the east starting point of Nanjing Road pedestrian mall, a few blocks from Shanghai's renowned Bund. 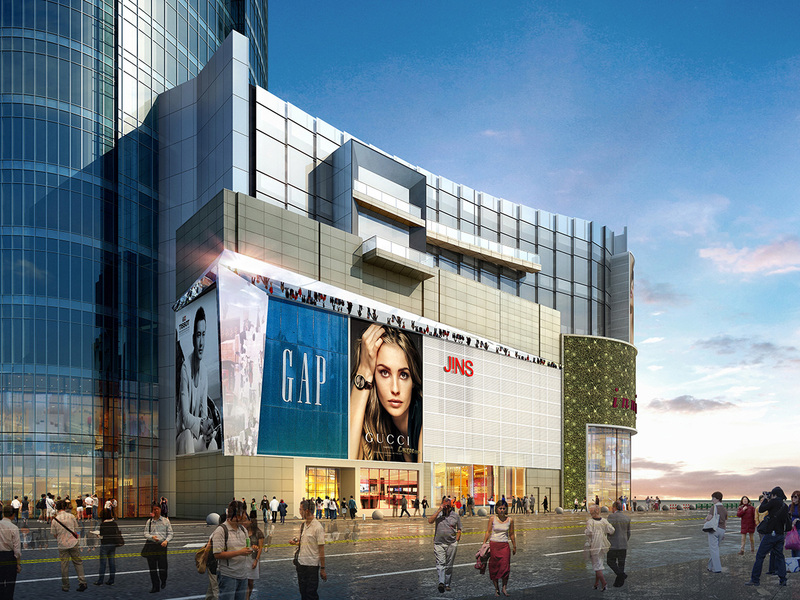 The project includes a six level Retail Mall around a central rotunda and a 150m tall Class A Office Tower shaped and sited to enjoy expansive views of Pudong to the North and East and city views to the South and West. 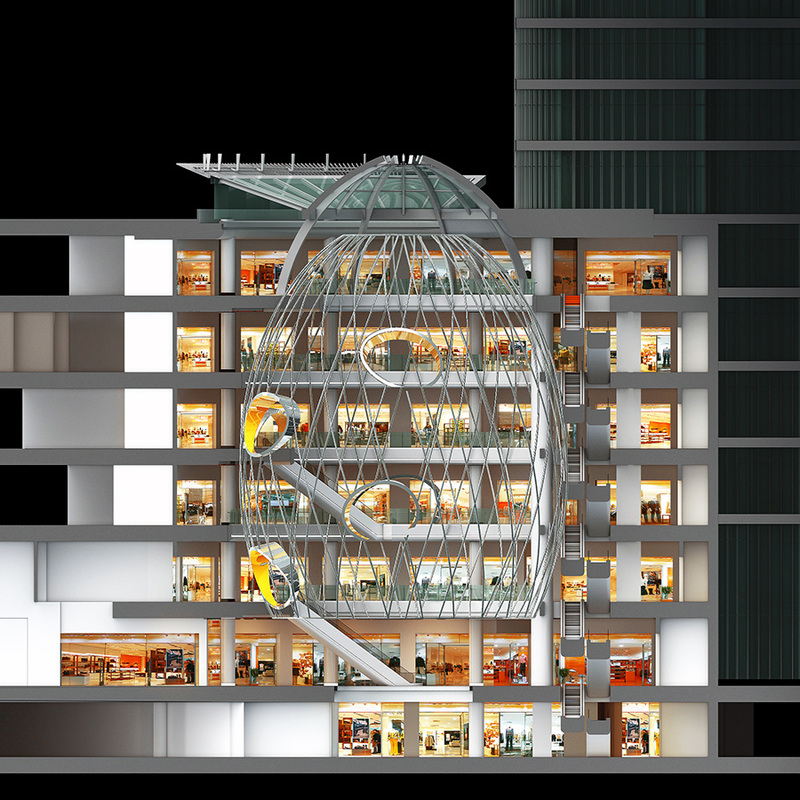 The tower's gracious curves allude to the Hang Pu river and a brilliantly lit lantern clearly locates the context of the project within the myriad towers in the vicinity. 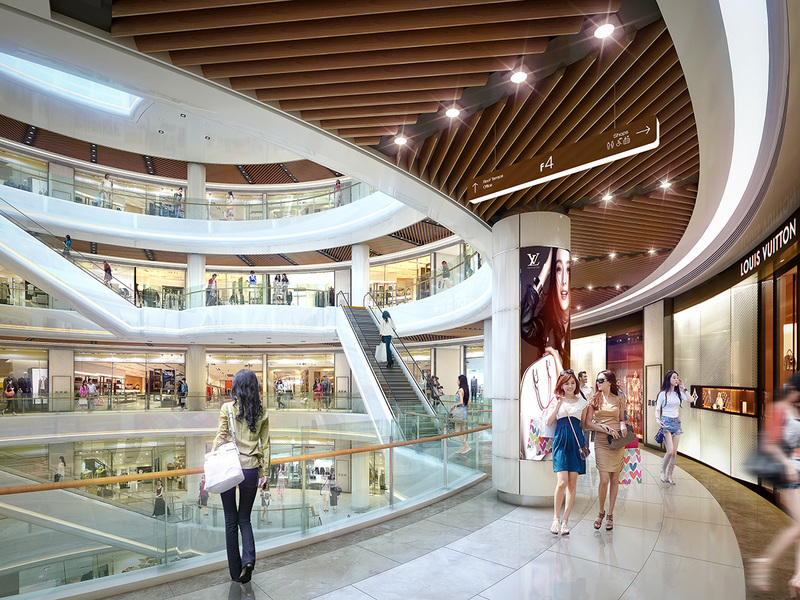 Ten years later, 3MIX was commissioned to update the center’s retail and office facilities in time for its tenth anniversary celebrations and to stay competitive to its adjacent developments.